Hurricane Florence didn't deliver the damage to Frederick County that forecasts originally predicted, but Special Operations Battalion Chief David Barnes and his crew still stood at the ready. Barnes, who oversees the county's swift water rescue operation, joined podcast host Colin McGuire and city editor Allen Etzler to explain how he got into special operations in the fire and rescue service, and how his units prepare for hurricanes or heavy rainfall. The large amount of rainfall this year has forced the county to run more swift water rescue calls in 2018 than in recent years, Barnes said. The county is projected to run well over 100 swift water rescue calls by the end of the year — up from the 70-80 that would occur in a typical year, according to Barnes. Barnes explained the challenges in completing swift water rescue operations during flooding conditions on roads as well as water rescues along the river. Paula Poundstone, Toad the Wet Sprocket, and David Sedaris - just some of the acts to look forward to during the 2018-2019 season at the Weinberg Center. Host Colin McGuire and News-Post reporter Kate Masters sat down with Barbara Hiller, the marketing manager for the Weinberg, to discuss the year’s lineup and some of the shows she’s looking forward to the most. Some were expected (Maria Bamford, for instance) and some, like the Portland Cello Project, were not. But they’re all very different from Hiller’s former career as the director of marketing for the Mid-Maryland Musculoskeletal Institute. Hiller also had some great responses to some very silly questions, including the three people, living or dead, she’d most like to have dinner with. Two of her responses — Eleanor Roosevelt and Dwayne “The Rock” Johnson — would make for some pretty interesting conversation. Frederick County Public Schools Teacher of the Year Tim Snyder never planned to become a teacher. Snyder studied art in college and wanted to become a graphic designer. After getting real experience with the work, he decided it wasn’t for him. He instead combined his love of education and creativity — and competitiveness — to become an art teacher and coach. An Urbana Middle School art teacher and Urbana High School cross-country and track and field head coach, Snyder said he aims to look at each student individually to provide them with the best mentorship and instruction. Drawing on his own experiences, he helps students find their motivation both in and outside the classroom. On the latest episode of Frederick Uncut, Snyder sat down with host Colin McGuire and News-Post education reporter Emma Kerr to look back on his first few months as Teacher of the Year and advise us on everything from finding our path in life to pre-race diet best practices. Through juggling duties as a Frederick city alderman and Frederick County’s director of government affairs and public policy, Roger Wilson averages roughly 14-hour workdays. This week, the first-term alderman also found some time to sit down with Frederick Uncut host Colin McGuire and News-Post reporter Mallory Panuska to talk about a variety of topics, including balancing the two jobs, for the latest episode of Uncut. Wilson was one of the three new aldermen elected to the board in November, and within eight months he has already managed to spearhead an ordinance to form a Youth Advisory Council, co-sponsor legislation to create a senior citizen tax credit for low-income city homeowners and help allocate money for sidewalks in the fiscal 2019 budget. Wilson also talked about his goal to bring back bulk trash pickup to the city, his dedication to transparency and ethics and the candidate he is endorsing in the 6th District congressional race. Brian Staiger is a busy man in the summer months. Taking a leadership role on school construction projects this year, Staiger is working to shepherd to completion what will become the new Rock Creek School on the Walkersville Middle School site. Rock Creek School is a school for children ages 3 to 21 who have severe intellectual, physical, emotional, hearing, visual and learning disabilities. A number of benefits have been found for these children when their schools are adjacent to another school, Staiger said. For example, Rock Creek students can interact with other students. But determining which school would be the new home for Rock Creek students was arduous from the start. On the latest episode of Frederick Uncut, Staiger sat down with podcast host Colin McGuire and News-Post education reporter Emma Kerr to walk through the early, contentious stages of finding a location for the new school through to addressing the latest "bait-and-switch" allegations from Walkersville officials. He also tells you a few bits about his journey to FCPS and answers a question about his favorite restaurant in a bait-and-switch of our own. Kevin McMullen, the outgoing athletic director at Catoctin High School, looks back on a long career of coaching and teaching in Maryland. After 26 years in Frederick County Public Schools and 14 in Anne Arundel County before that, McMullen discusses the role athletics plays in the educational career of many students he's worked with. After months of preparation and many long days, Frederick County Election Director Stuart Harvey can finally take a breather — at least a short one. Not only will Harvey and his staff soon transition to the general election in November, but they’ll also assist with the upcoming city election in Brunswick. Harvey took some time this week to stop by the studio for the latest episode of Frederick Uncut, with host Colin McGuire and News-Post City Editor Pete McCarthy. Harvey opened up about what first got him interested in politics, which resulted in a career overseeing elections. On this week's episode, find out the greatest challenges associated with preparing for an election, including what happens when unforeseen issues pop up at the last minute. Harvey also explained what the typical days and weeks are like leading up to the primary. Here's a hint: Picture 80-hour workweeks. The team is taking the week off, but we'll be back with a new episode featuring news maker next week. Maryland School for the Deaf opened its doors 150 years ago. At the time, there were few options for parents with deaf children. Over the years, the school, which serves students from age 2 through high school at its Frederick campus and up to eighth grade at its Columbia campus, has and grown and continues to expand. The school was the first of its kind in the nation to create a family education program in the 1960s. It was also the first to implement home visits to ensure deaf children’s families were nurturing their language skills early on. On this week's episode of Frederick Uncut, James Tucker, superintendent of Maryland School for the Deaf, joins host Colin McGuire and News-Post reporter Hannah Dellinger to discuss his philosophy on deaf education as well as challenges that the deaf community has historically faced in education. Tucker discusses his role in protests at Gallaudet University that led to the hiring of the school's first deaf president in 1988, and the deaf community's early adoption to advances in communication technology. Kris Fair caught his first glimpse of a gay relationship watching "Queer as Folk" through his family's home TV. It was the early 2000s and Fair, then a student at Linganore High School, didn't know anyone who was "out" as lesbian, gay, bisexual, transgender, or queer (LGBTQ): none of his classmates, his teachers or community members. Fair himself was unsure of his sexual orientation; he thought he liked men, but was somewhat convinced by the systemic mantra that it was "just a phase." A chance perusal through the Sunday night TV options led him to the Showtime TV series, which he could only view through a scrambled picture because his family did not subscribe to that channel. Fast forward almost two decades, and Fair's then-concealed and uncertain identity as a gay man has become an integral part of his life and advocacy for LGBTQ rights, including as president of the board of directors for The Frederick Center. On the latest episode of Frederick Uncut, Fair sat down with host Colin McGuire and News-Post reporter Nancy Lavin to detail the journey of acceptance, both personally and community-wide, that has occurred with regard to the LGBTQ community. Among the many signs of progress is the expansion of Frederick Pride, which will hold its 7th annual event Saturday in downtown Frederick. What began as a small community picnic in Ballenger Creek — not even titled a "Pride" event to avoid some controversy, according to Fair — has blossomed into a full celebration along Carroll Creek Linear Park. Fair also shares his own "coming out" story, reflections on his recent bid for political office, and his favorite TV show ... which, surprisingly, is not "Queer as Folk." 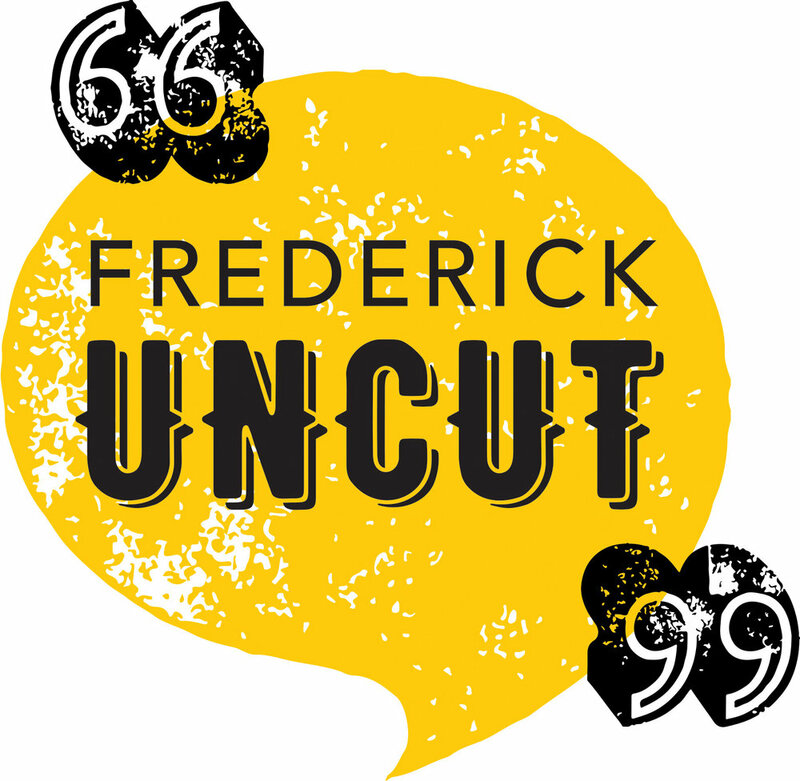 In a special episode of the Frederick Uncut podcast, host Colin McGuire and News-Post reporter Allen Etzler discuss the flooding in May, which stranded motorists, train passengers and caused millions of dollars’ worth of damage to homes, businesses and infrastructure. The two are joined by staff reporters Mallory Panuska and Hannah Dellinger, as well as photographer Graham Cullen, as they recount their reporting from during and after the flood. Hear from county residents Linsey and Louie Ashton, whose Feagaville neighborhood sustained extensive damage from floodwater, which swept away animals, vehicles and brought down a garage. Listen as downtown business owners Ashley Goldston, owner of Indellibelle, and Bob Berberich, co-owner of Vinyl Acres, speak to Frederick Mayor Michael O’Connor as he visits with downtown proprietors affected by the flood. Stona Cosner, superintendent of Frederick’s Wastewater Treatment Plant also discusses how the facility couldn’t keep up with the amount of water entering the system, which led to wastewater backing up into some basements in the city. Daniel Phoenix Singh wants everyone to be closer to the arts — and to integrate arts and creativity into more aspects of everyday life. Singh, who has been executive director of New Spire Arts since January, has a big vision for artists in Frederick and bringing more creative influence to areas like urban planning and education. He wants Frederick’s children to explore art and dance and music in new ways and apply those skills to other areas of life like conflict resolution. And he wants New Spire Studios to be a place where artists of all ages can learn new skills without fear of failure or judgment. On the latest episode of Frederick Uncut, Singh sat down with podcast host Colin McGuire and News-Post reporter Danielle E. Gaines to talk about embracing his love of arts in the U.S. after immigrating from India in his late teens. He also shares his Bollywood favorites and the role of art in his personal development. Elizabeth Cromwell took a roundabout route to her position as president and CEO of the Frederick County Chamber of Commerce. Growing up in Connecticut, Cromwell went to college in New Orleans and lived in Washington, D.C., and San Francisco before coming to Frederick. The geographic variety gave her different perspectives on how businesses can succeed. 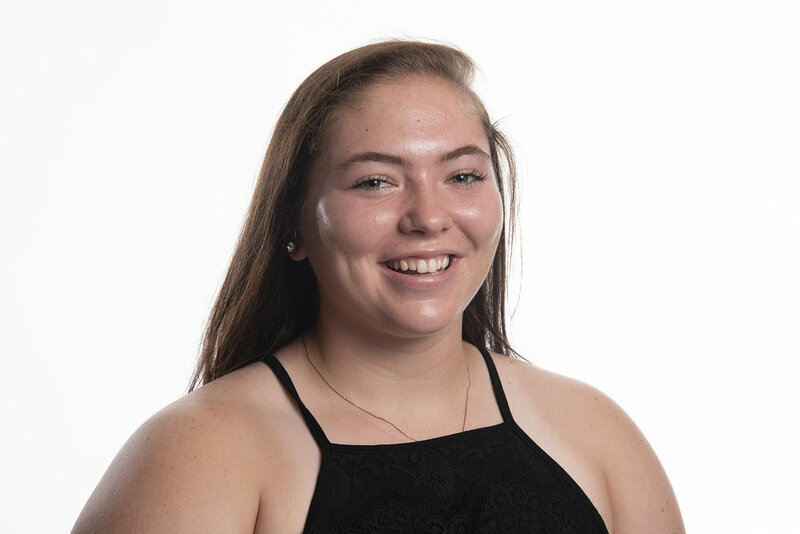 On the latest episode of Frederick Uncut, Cromwell sat down with podcast host Colin McGuire and News-Post reporter Ryan Marshall to talk about her path to Frederick and about business in the county. One of the most common things she hears from chamber members is how important it is to have a base of qualified people that can fill their employment needs, she said. She talked about some of the biggest challenges facing business in the county, and the continued emergence of the technology industry here. She also discussed several events that will be going on in the county in the next few months, and trying to find the line between when an event has run its course and when it can continue on to be a perennial on the county’s social calendar. In the final episode of our Frederick Uncut interview series with county executive candidates, the incumbent, Jan Gardner (D), shared highlights from her first term and made the case for a second. “We need that leadership to extend over time, and that’s why I really believe that we need another term of pragmatic, sensible, stable leadership without all the drama,” Gardner said. She touted funding the Board of Education above the mandated Maintenance of Effort levels and a higher teacher pay scale. She also said the county’s economy had improved over her term, and she promoted the business incubator ROOT. One of Gardner’s biggest accomplishments, she said, was retaining county ownership of the long-term care facilities Citizens and Montevue. In September 2016, Gardner announced the final settlement that returned the facility to county ownership. The previous Board of County Commissioners had approved selling the nursing home and the land to Millersville-based Aurora Holdings VII in June 2013. A Brunswick High School teen joined the Frederick Uncut podcast this week to talk about being transgender in high school. Mark, a senior at Brunswick who was recently voted prom king, opened up to host Colin McGuire and News-Post reporter Allen Etzler about the trans community at Brunswick High School. Mark has experienced very different attitudes in school and at home in regards to his status as a trans person, he said. School has often been the place where he feels most like he can be himself. In the coming weeks, Mark will continue the next step in his transition, and begin testosterone injections, which he will receive for the rest of his life, he said. Mark broke down the process of how a trans person gets testosterone, and expressed his excitement about growing facial hair. Mark also talked about his prom king victory and mentioned that a student who originally walked out of prom after Mark won later apologized for his behavior. For much of high school, Mark has been romantically involved with several partners. He talked about dating as a trans person, and said one of the first things he mentions to a potential partner is that he is transgender. Mark said typically, the partner has been understanding and supportive and it hasn’t affected the relationship. Regina Williams, a Republican candidate for Frederick County executive, says she is disappointed in charter government. Williams was born and raised on a dairy farm in Johnsville and said she helped milk the cows before going to school. Her background, she said, enabled her to develop a work ethic and humility that she believed could serve her well in politics and help her meet her stated goal of creating a more civil atmosphere in county government.